The Emerson Center for Arts and Culture has been an important community and business institution in Bozeman since its formation in 1992. Originally a school built in 1916, the expansive facility is home to scores of artists, galleries, fine dining, small businesses, event spaces, and the 727 seat Crawford theatre. 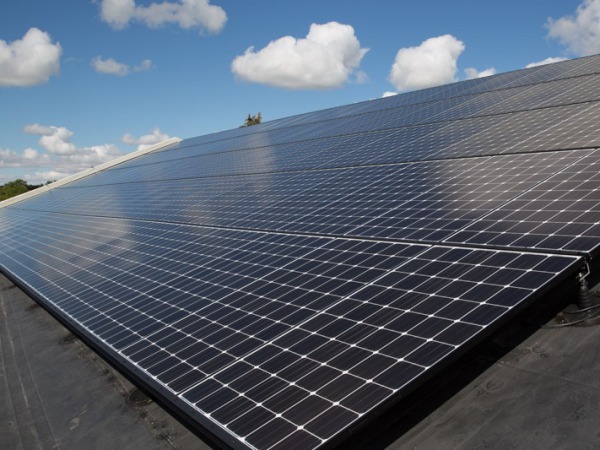 Tim Crawford, a long time supporter of The Emerson, and a local leader in renewable energy, spearheaded a project to add a large scale solar array onto the building’s rooftop. Through a generous contribution from Mr. Crawford’s own Pheasant Farms, LLC, initial development of the Emerson solar array got under way in May of 2014. Onsite Energy Inc., was brought on board to design and oversee the Emerson array. 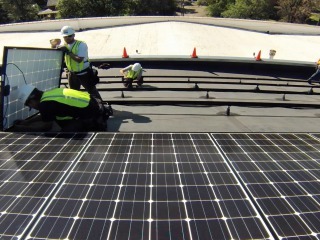 The resulting system grew in size and scope, utilizing many local engineers, electricians, and roofers, in addition to Onsite Energy’s own workforce. Completed in early September 2014, the resulting 110 panel system covers the entire south facing theater roof and produces over 30 kWs of peak power. The project also makes Mr. Crawford responsible for the largest renewable energy generation portfolio for an individual in the State of Montana, with over 100 kWs total. 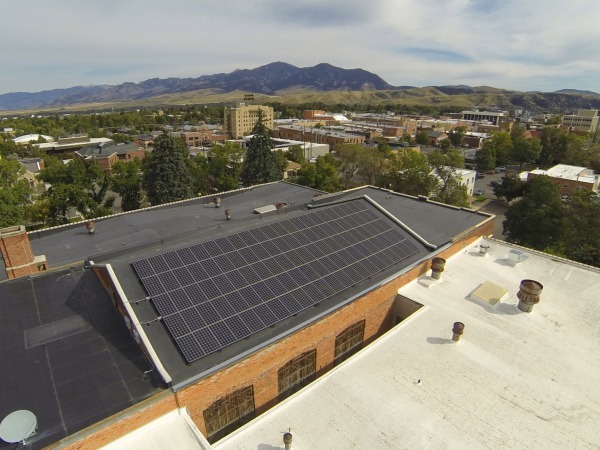 The Emerson Solar Array represents a great achievement and source of pride for the Emerson, its contributors, as well the greater Bozeman community. The system has already had a positive impact on the local economy through direct employment. 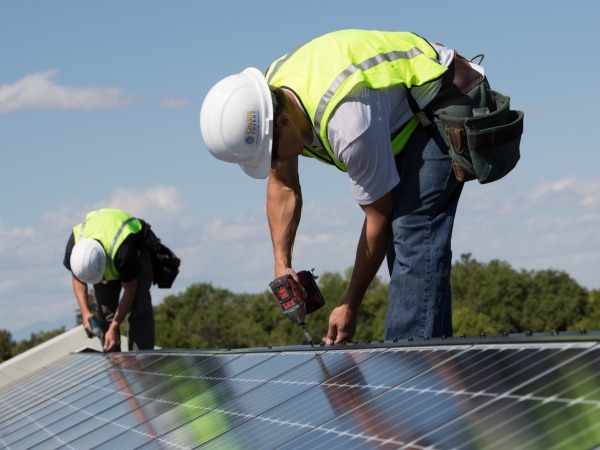 With the energy cost offset from the solar electric system, the Emerson will be able to re-invest the savings to help further expand their mission for years to come. Due to the historic nature of the building the original roof truss system above the Crawford Theatre required significant structural reinforcement in order to accommodate the new solar array. 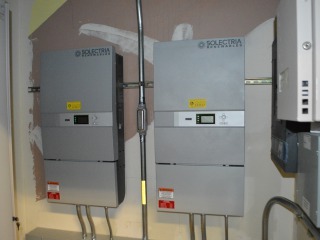 OnSite Energy worked in conjunction with a local structural engineer to devise a cost effective and low impact solution. "Onsite Energy, Inc did a terrific job installing the solar array on the roof of the historic Emerson Center for the Arts & Culture. Orion and his team are consummate professionals. It was a genuine pleasure working with such an organized, efficient and educated team."